For Feeding a Wide Variety of Birds, a Wide Variety of Foods! 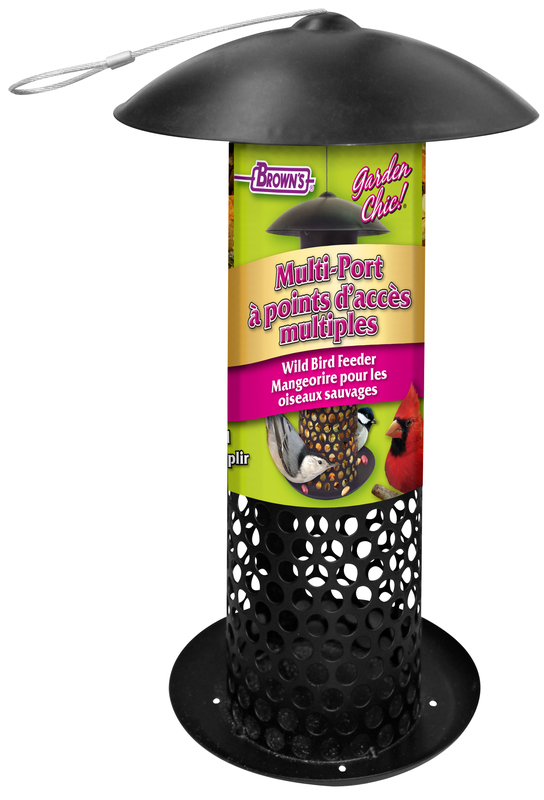 Brown’s® easy-to-fill Multi-Port Wild Bird Feeder is designed to provide a wide variety of ingredients wild birds love. 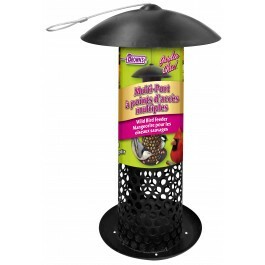 Ideal for year round feeding, this durable metal feeder can hold mealworms, fruit, nuts, berries, suet pellets, large seeds, grains, and much more. 205 feeding ports means many birds can access the feeder at the same time! It’s great for attracting insect and fruit-eating birds.